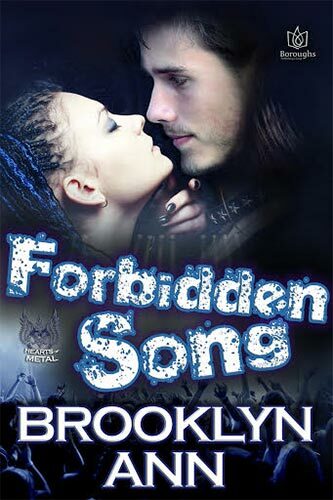 Womanizing rock star, Cliff Tracey represents everything that has been forbidden to Christine Mayne, which only makes him a greater temptation, especially since she discovers he’s so much more than he pretends to be. After having one of the worst experiences a young teenager could endure at the hands of cruel musicians, Christine Mayne's rock star brother Quinn tried to lock her away from the world. She had to fight to live her life, go to college, get her master's and enter her PhD program. Now, she's determined to complete her research on group dynamics by touring with Bleeding Vengeance, even it means deceiving her brother and lying to the band's fabulous lead singer, Cliff Tracey. Cliff Tracey hates being manipulated, lied to and deceived. He'd know, having gone through a string of exes who had done just that. When he thinks he's found a kindred spirit, and a beautiful babe to boot, imagine his surprise - and disappointment - when he learns she played him so she can tour with his band to complete her PhD. When he finds out why, he knows he's in double trouble because Quinn Mayne will kill anyone who touches his sister, and Cliff Tracey has all sorts of plans for Christine Mayne that involves more than either of them ever expected.